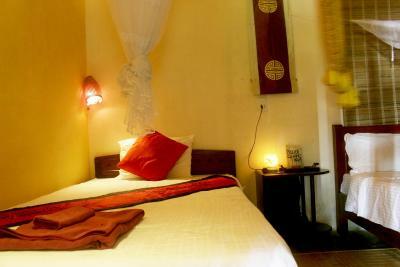 Lock in a great price for Golden Lantern Hoi An Homestay – rated 8.7 by recent guests! Home cooked meals with the family if you like. Wonderful family! Kitties and Chocolate the dog...part of the family. Bicycle availability which I used all the time. Great advice and map for Old Town. Far enough away for quiet and nice ride into town. 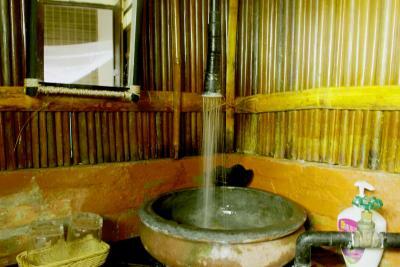 Great hot water and great water pressure. 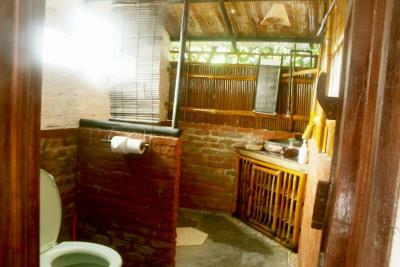 If you get the ViVi room you have a wonderful private bathroom. Just gorgeous!! 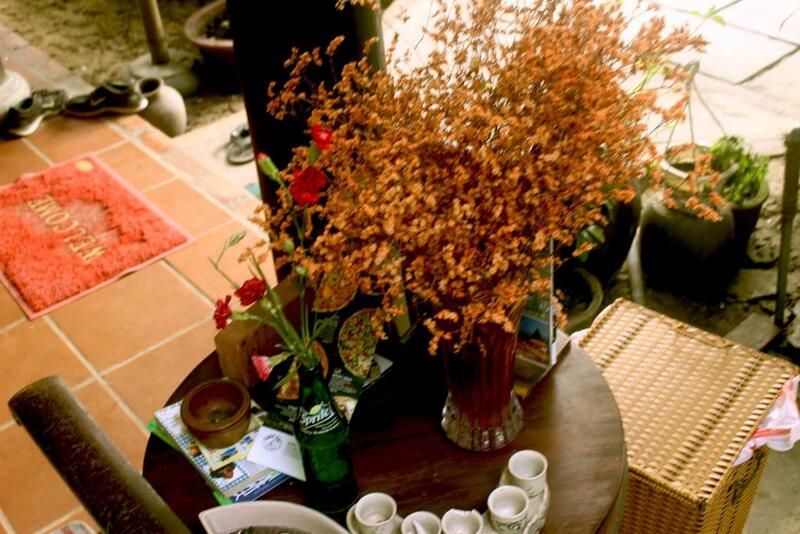 The Homestay was really lovely, clean, well decorated. The staff was so nice! I went one evening to the family diner, it was delicious! 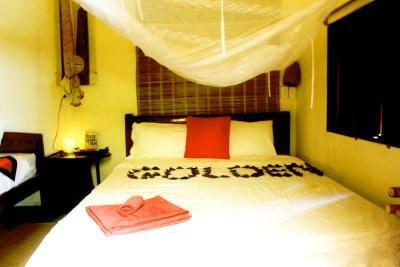 I had such an amazing four nights at the golden lantern. 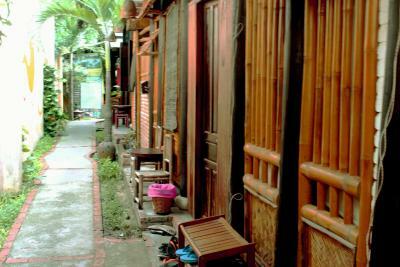 The family who owns the homestay is amazing, they are all so kind and gave the place such a home feeling. Every night they cooked amazing food! 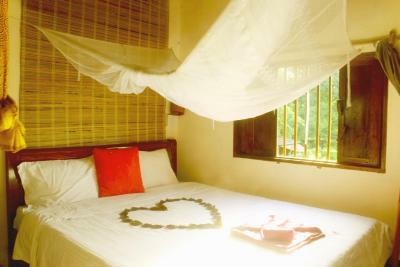 The rooms are beautiful, there were mosquito nets and fans which worked very well. 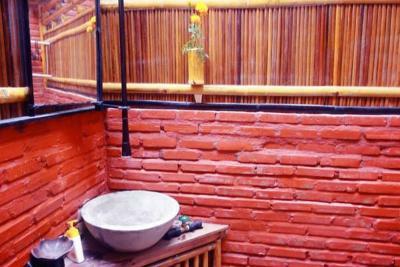 The bathroom was also very cool since it was very outdoorsy and very clean. 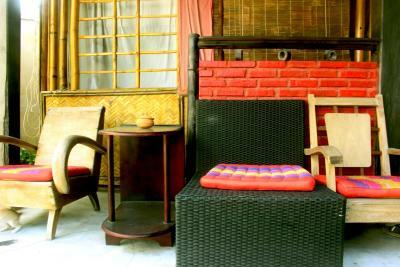 This is a great property for any type of travellers. It would be helpful to know how to ride a bike or be comfortable bicycling since its not right in the city centre! 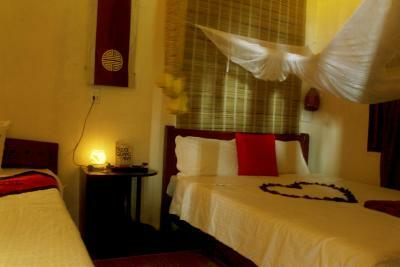 The personnel is really helpfull and interested in the wellbeing of their guests. Very relaxed! 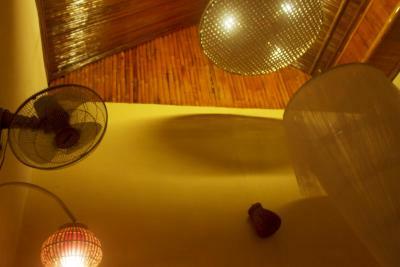 Thank you, golden lantern, and all your hospitable family for your care, advices and cozy evening dinners!!! We enjoed our sweetest bungalo ( may be not so suitable for a rainy season and high humidity) - you made amazing decorations!! 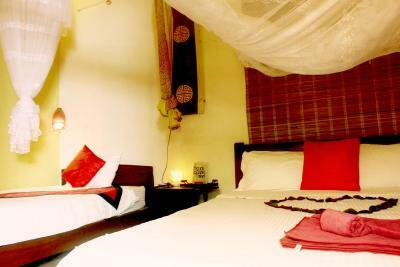 It is situated close to rice fields and rivers, and is recomended for those, who want to be not so close to the tourist activities, like markets and pubs. 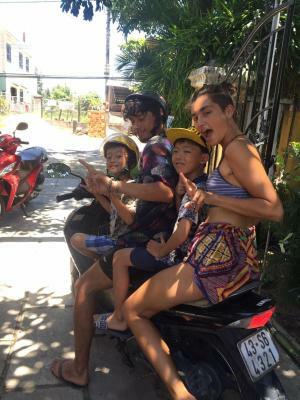 ( about 10 min on motorbike through a highway - or you must find alternative routs) a great gift was to experience a travel to the countryside with one of three sisters that keep this homestay. 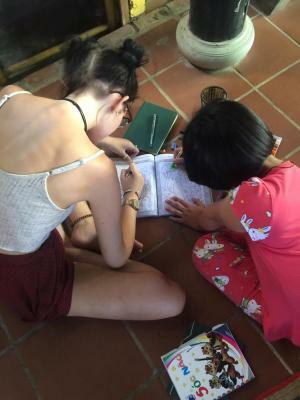 We were kindly invited to stay one night in Tam Ky, which is 40km from Hoi An, where another family homestay is situated, and there we met what we searched in Vietnam - endless rivers and rice fields, foggy empty beach and silent streets!!!) Thank you !!!!! 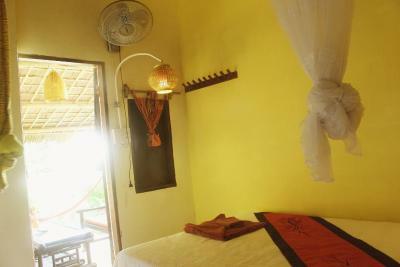 Very nice, clean and comfortable room. 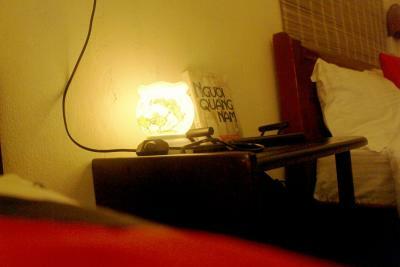 I really love the peaceful atmosphere there. Friendly and good staffs. Will come back. great style, good food, excellent service, amazing people! We feel like we are part of the family. Most welcoming place we visited. Trang and her family including the children were so much fun to be around. They took care of all our needs during our stay including booking our tours and advice on where to eat and shop around town. Can't recommend enough. Everything looks absolutely vintage and cozy. Staffs and owners are super friendly and helpful. We had a very good time there. 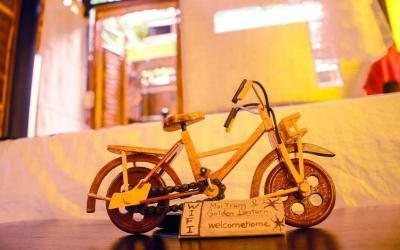 They have shuttle bus/taxi services and motorbikes/bikes for rent. 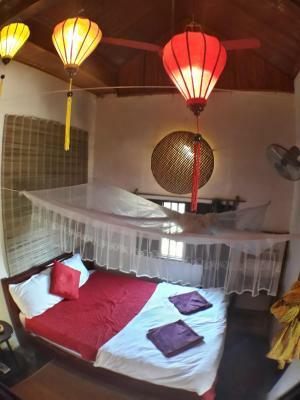 With a garden and a terrace, Golden Lantern Hoi An Homestay has free WiFi and is located in Hoi An, 2.3 miles from Thanh Ha Village. A buffet breakfast is available each morning at the family stay. 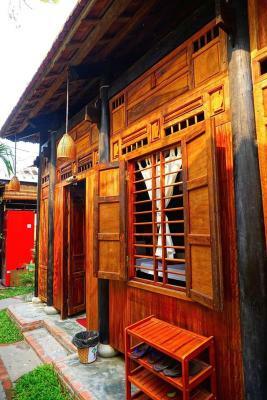 Hoi An Historic Museum is 2.7 miles from Golden Lantern Hoi An Homestay, while Thanh Ha Pottery Village is 3 miles away. 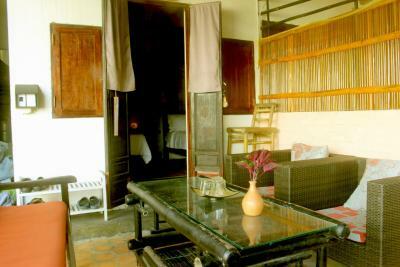 The nearest airport is Da Nang International Airport, 14 miles from the accommodation. 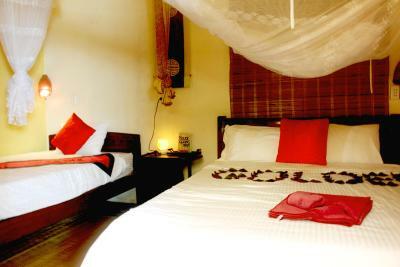 When would you like to stay at Golden Lantern Hoi An Homestay? 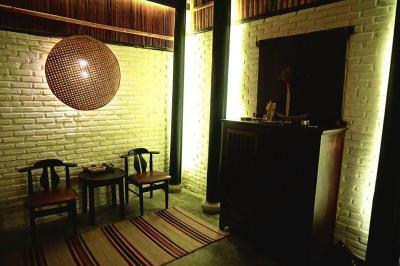 This single room has a balcony, seating area and fireplace. 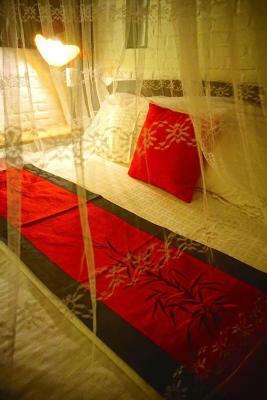 This double room has a balcony, fireplace and tile/marble floor. This family room features a balcony, tile/marble floor and microwave. 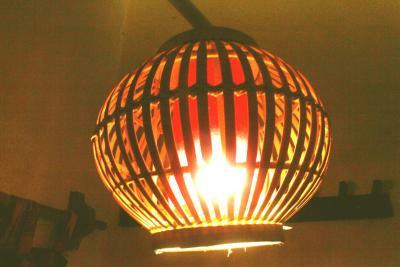 House Rules Golden Lantern Hoi An Homestay takes special requests – add in the next step! 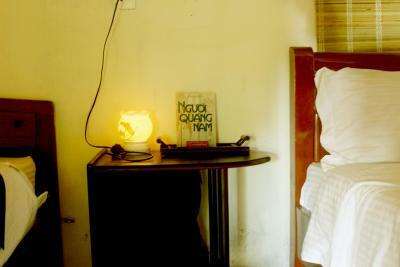 Up to two children under 12 years are charged VND 233258.10 per night when using existing beds. 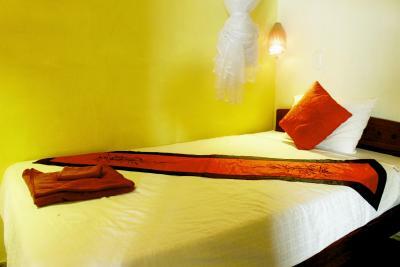 Any additional older children or adults are charged VND 163280.67 per night for extra beds. 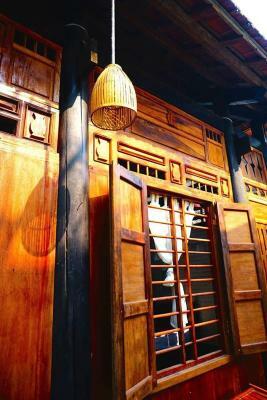 Golden Lantern Hoi An Homestay accepts these cards and reserves the right to temporarily hold an amount prior to arrival. 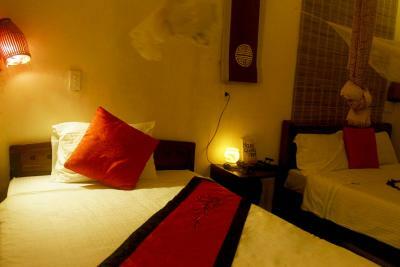 Please inform Golden Lantern Hoi An Homestay of your expected arrival time in advance. You can use the Special Requests box when booking, or contact the property directly using the contact details in your confirmation. 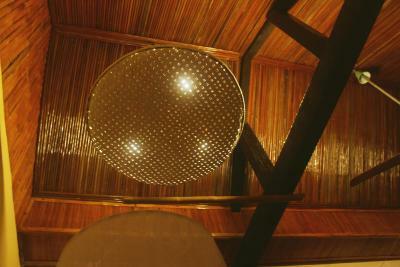 Air conditioning and bath tub are listed in the facilities, but they aren't actually in the room. No hot water. 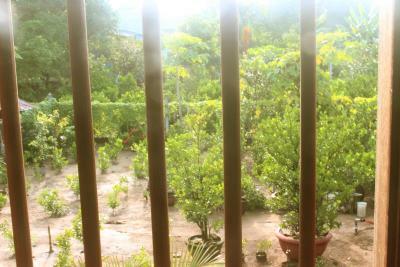 View on a wall, not a garden. Not much privacy as the units aren't closed at the top. Extortionate prices for food (80k for banh mi?!). Long drive from the center. 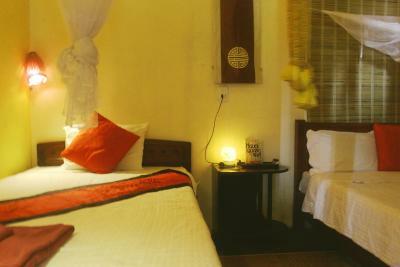 Initially booked this place for two nights but ended up extending for another two nights. The family who owns this place is very kind, helpful, and warm. The food in the restaurant was delicious but their home-cooked lunches and dinners were the BEST I've ever had in the two weeks of running around in Vietnam. They have motorbike and bicycle rentals on location and they also helped us with our train tickets (and even handled the rescheduling since we had to extend the last minute). Internet was great. This place was definitely HOME! - Nothing to complain about: just FYI, this hotel is 10-15 min far from the ancient town by bicycle, which actually didn't bother me at all!